In 1840, Joseph Petzval invented an optical portrait lens, which for the rest of the century would be used to take loads of photos. Now, the retro-fanatics at Lomography have reengineered the lens from the ground up for today's Canon and Nikon cameras. And the photos are incredible. 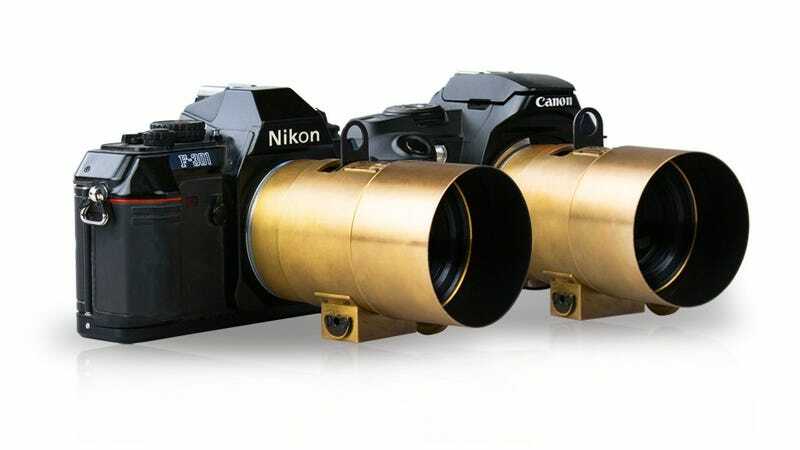 What we're looking at is a complete reinvention of the Petzval lens to fit either Canon EF mount or Nikon F mount cameras—they'll work on both film SLR and DSLR cameras. The Petzval optics are primarily designed for portraits: thens has a maximum aperture of f/2.2 for wonderful depth of field, and its minimum focal distance is one meter, so you can't stand on top of whatever it is you're shooting at. The lenses will weigh about a pound, so you could theoretically walk around with one like a street photographer, but if you're shooting portraits, why not throw it on a tripod, yeah? What lovely bokeh! Vignetting for years! Dope color saturation! Now, of course, we don't have very much information about the sample photos. there's a pretty good chance some were shot on film or doctored after the fact. But the concept behind what Lomography is trying to do is pretty remarkable. And Lomography wants your help—as with the smartphone film scanner the company announced earlier this year, the Petzval lens is making its debut on Kickstarter. When I asked why a company that has plenty of resources is crowdfunding a product, Lomgraphy told me "The Kickstarter community in particular are very passionate about innovation, so it’s a better platform for us to show them and the rest of the world the progress and most importantly the innovations of analog photography." In other words, this is more about marketing than trying to jumpstart a pipe dream.